I have been playing with the newer versions of FreeNAS for shared storage on my home VMware vSphere lab recently (after having last used it on version 7.x). 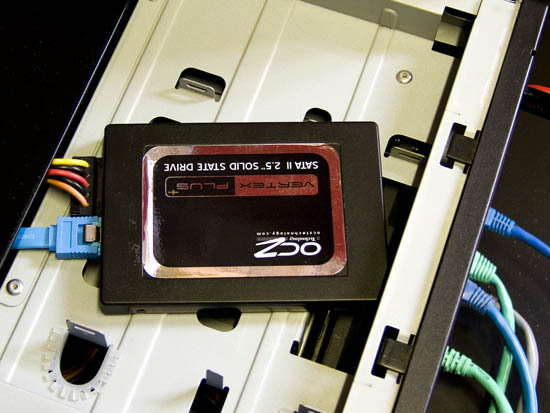 I added a spare OCZ Vertex Plus 120GB SSD to my mini-ITX based FreeNAS box and was wondering how TRIM would be handled, if at all with FreeNAS. 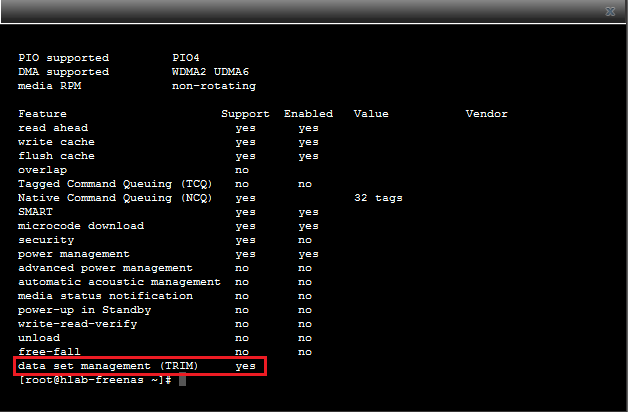 To check to see if your SSD supports TRIM under FreeNAS, open up a Shell session to your FreeNAS box – i.e. PuTTy, or via the Web GUI. Then issue the following command, specifying your SSD drive where /dev/ada0 is used as an example below. Note that we are using the CAM control program that comes with FreeBSD. Please exercise caution with this command as it has the potential to cause damage if not used correctly! If you need to check disk/device names to figure out which one is your SSD, you could use the GUI. Go to Storage -> View Disks, then check the name column for the device names of each disk. Use /dev/diskname in the command above. After running the command above, you’ll get a list of disk information back, just check the “data set management (TRIM)” row to see if TRIM support is enabled or not. I have not yet worked out a way to see if TRIM is actually being actively used yet though – so if anyone has any suggestions or ideas as to how to check that it is actually in use, please let me know! 978 days, 4 hrs and 6 min.